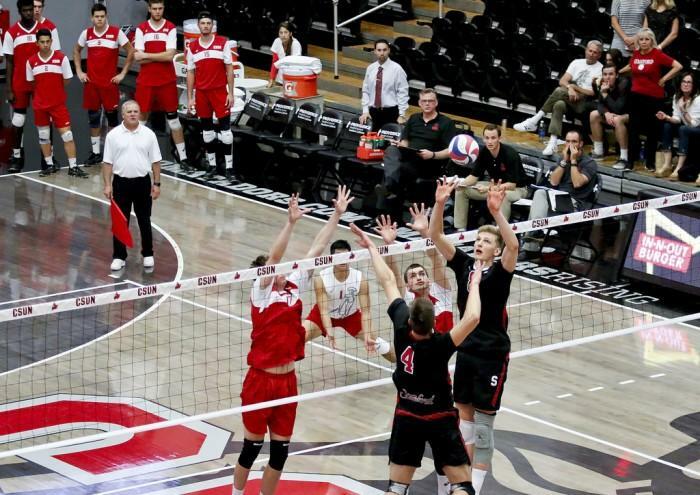 CSUN men’s volleyball displayed a sharp all-around effort on its way to keeping the UC San Diego Tritons winless in Mountain Pacific Sports Federation play Friday night. 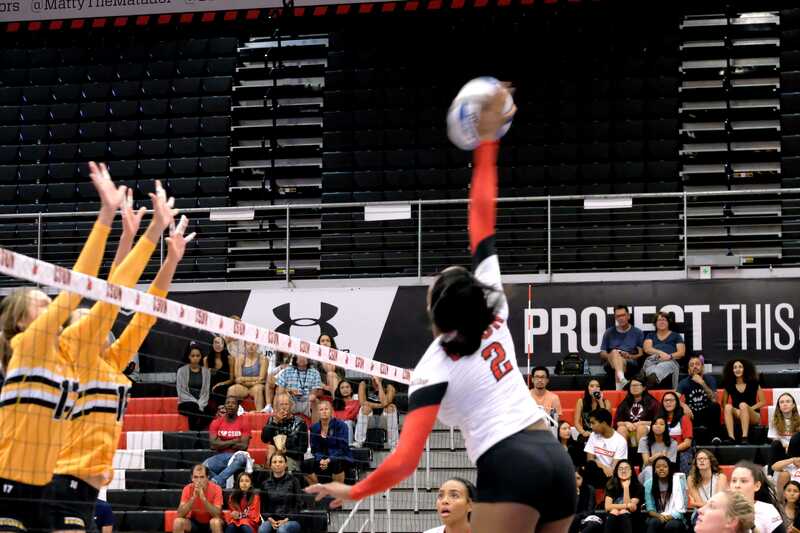 The victory also evened the Matadors’ record in MPSF play at 5-5. 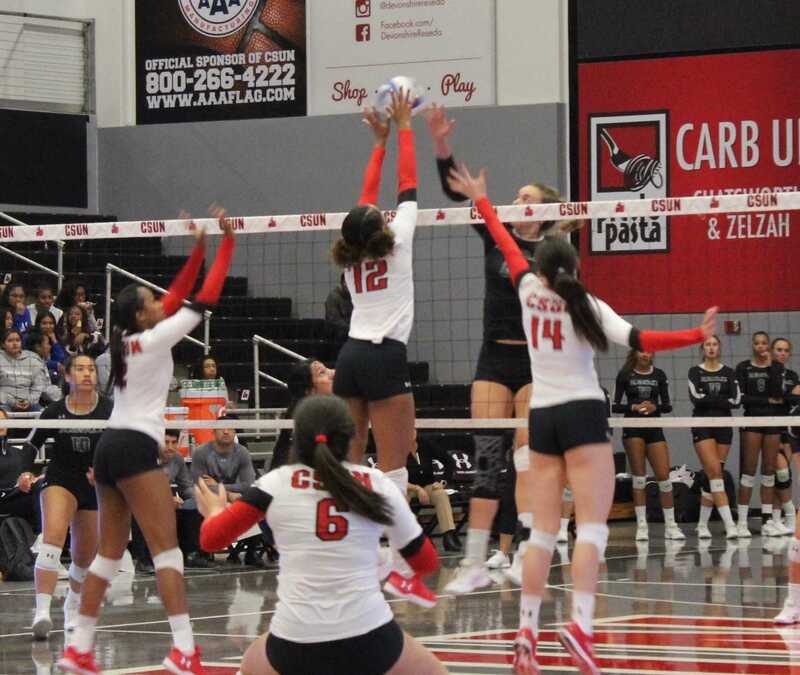 The Matadors defeated the Tritons in three straight sets with scores of 25-15, 25-17 and 25-15. Sophomore middle blocker Josiah Byers was integral for CSUN, as he led the team with nine kills (.900) and seven total blocks. The Matadors appeared to feed off of his energy on several occasions, while he contributed crucial kills and blocks multiple times throughout the game. Byers said the team earned the win by playing hard and connecting really well. The Tritons haven’t defeated a conference opponent this season, but freshman outside hitter Dimitar Kalchev knew CSUN would still need to play well to win. Kalchev had four kills for the Matadors (.182), and added two more aces to his team leading total which now stands at 35 for the season. Junior outside hitter Bradley Sakaida finished second on the team with six kills (.286), and was pleased with the teams effort. He said he believed the team stuck well to its identity during the game. CSUN, as a team, hit .371. 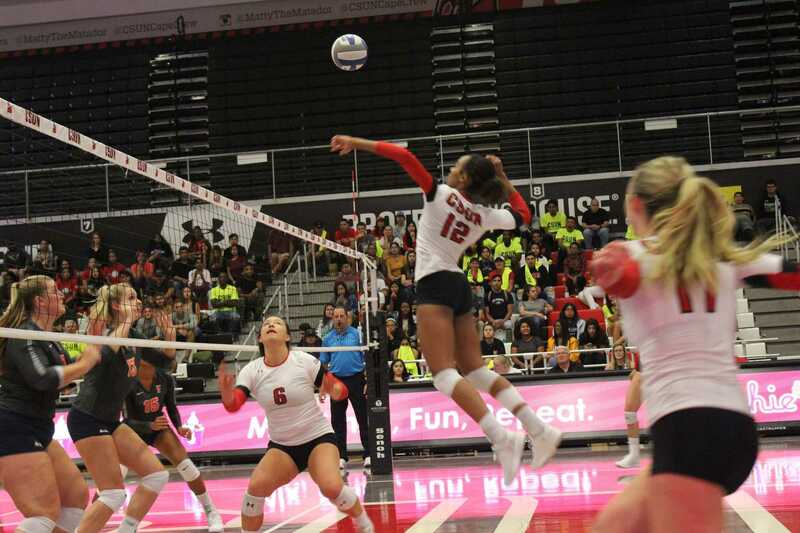 The Matadors also displayed a solid defensive performance by finishing with 14.5 blocks compared to the four from the Tritons. 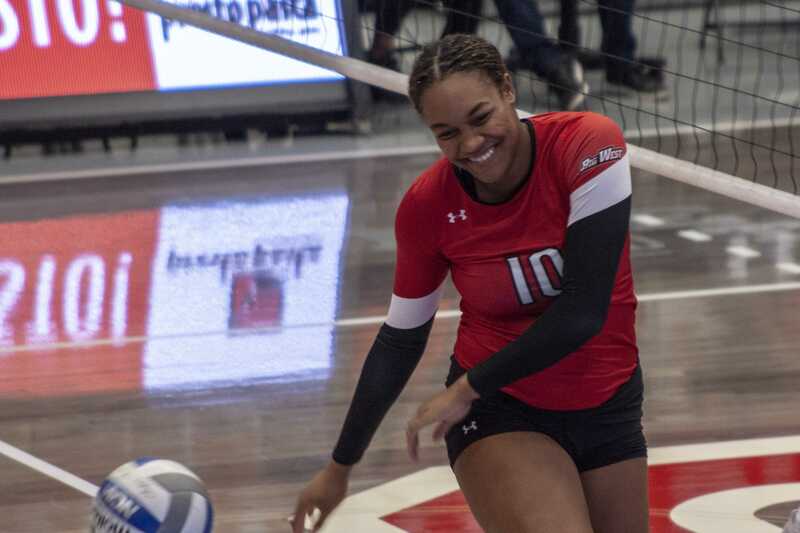 The Matadors have won two of last three games after losing four straight. The next game is Friday, Feb. 26, when CSUN travels to Utah to face Brigham Young University at 7 p.m.